Remember that iMovie project you’ve been working on for your media arts final? Do you remember the file name and location? You couldn’t have deleted it could you? Life is complicated, and with the increasingly integrated part our Macs play in our lives, managing files can get overwhelming. If you’ve lost that project you were working on, you’re probably frantically trying to figure out how to recover lost Mac files. The trash can is the first place you should look for your lost files. User error can mistakenly send important files to the trash. A quick look in the trash can is a great place to start on the road to restore lost Mac files. These questions can directly impact your success. Make sure to be as general as possible about the file name. It’s always better to have too many search results, and work down, than to fail to generate any results at all. Search as general an area as possible. You could have moved the file, or are simply mistaken in where you thought it should be. If you search all of your drives, you’ll have better odds of recovering lost files from your Macintosh. When you can’t find your missing files in the trash or by searching your Mac, software such as Stellar Phoenix Macintosh Data Recovery can prove to be very useful. Macintosh Data Recovery is a file recovery suite that can recover lost Mac files, emails, email attachments, and even files on peripheral devices such as your iPod. Macintosh Data Recovery works on the premise that when you “delete” a file; the information isn’t removed from the hard drive. What really happens is that the space where that file is located is marked as being available for use. Until new data is written to that space, the old file is still where it was. If you use the software before the operating system uses that specific location, the odds of recovering lost Mac files is greatly improved. Many activities carried out on a Mac write data to the hard drive. Because the lost file is at risk of being erased with every activity, you should stop using the computer immediately! Leave your Mac on and download Macintosh Data Recovery. 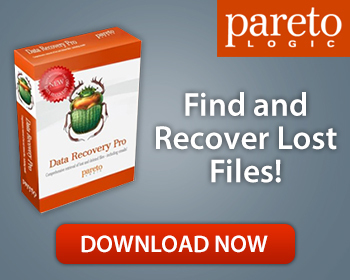 The program will help you recover lost Mac files, so long as they have not already been overwritten. Mac users that value their data shouldn’t be without Stellar Phoenix Macintosh Data Recovery. If you’ve lost a file and can’t find it in the trash can or by searching the hard drives; use Macintosh Data Recovery to restore deleted Mac files.